Are You Looking For The Best Gift For The Lacrosse Player or Fan In Your Family? Do They Have A Birthday or Graduation Coming Up And You Need The Perfect Lacrosse Gift? This Lacrosse Gift for Girls Comes Packaged In An Elegant Cotton-Filled Jewelry Box, And Is Lead & Nickel Free! 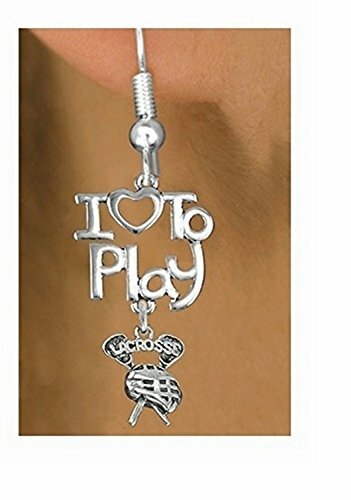 This Piece Of Lacrosse Fashion Jewelry Is Unique Enough To Show Your Loved One’s Passion To The World, Without Being Too Flashy. Not Only Is This Lacrosse Jewelry A Great Gift From Parent’s or Grandparent’s, But Would Also Be A Wonderful Gesture From A Coach To Their Students! PERFECT GIFT For The Lacrosse Player or Fan In Your Family.